Valentine's Day is one of those holidays that seems to sneak up on me in February since it is so early in the month. Last year we actually didn't do that many Valentine's Day crafts or activities because I focused my attention on a couples V-day party I was hosting. This year I am excited to have more time to make valentines with my kids (last year we rushed and made them the night before) and do other Valentine's Day themed activities. 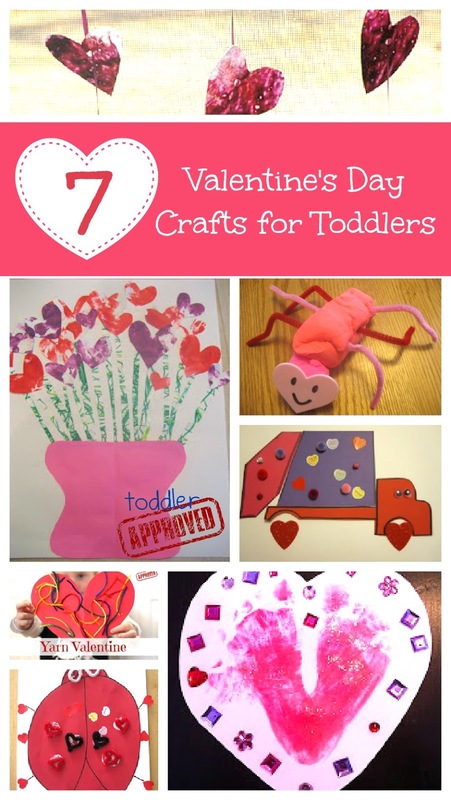 Today I thought I'd share a few of my favorite toddler Valentine's Day crafts that we've already done before I start posting about the new ones we've been doing. Just click on the links below to find the full tutorial for each craft. Do you have a favorite (must do every year) toddler Valentine's Day craft that you love? If so, we'd love for you to share about it in the comments. 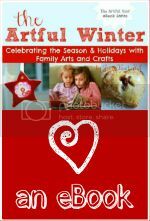 If you are looking for more Valentine's Day inspiration, Jean, The Artful Parent has a beautiful e-book for sale called The Artful Winter. It features several adorable crafts for kids of all ages. 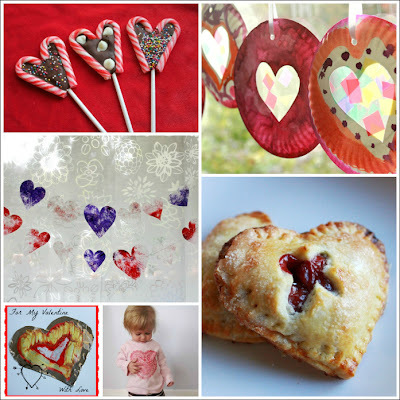 Here's a sneak peek of a few of the Valentine's Day crafts and treats featured in the e-book. The e-book includes 12 Valentine's Day decorations, cards & gifts, including valentine sun catchers, heart doily printed T-shirts, and melted crayon heartstrings & lots of children's literature recommendations. It also features awesome crafts and projects for the other winter holidays. The book is a 111 page full-color beautiful PDF eBook and it can be purchased for $9.99 by clicking on the e-book image or by clicking the link below. Purchase The Artful Winter by Jean Van't Hul by clicking here. There are also so many fun children's books about Valentine's Day, so here are a few favorites to get you started. Do you have any other favorite Valentine's Day books? Stay tuned for some awesomely creative posts by Deb Chitwood later today as part of our 100 Acts of Kindness project 2013. If you haven't joined yet, check it out. I plan on making a simple video for Valentine's day. That would include some animations and how-to videos for arts and crafts. These candies look really nice, too!